Which civil engineering role is right for you? “Water resources” broadly relates to the assessment of the quantity, quality and variability of groundwater and surface waters. Understanding the natural processes of the hydrological cycle allows water resource engineers to plan, design, procure, build, manage and operate infrastructure to meet the often-competing demands of domestic users, industry, agriculture and navigation. Engineers are also responsible for the sustainable return of water to the natural environment. What does a civil engineer do in the water resources sector? Water resource engineers are employed by organisations right across the water industry. Water suppliers abstract water from the environment, treat it to the required standard and distribute it to household and non-household customers. In the UK, the industry is regulated by the Environment Agency, the Water Services Regulation Authority (Ofwat) and the Drinking Water Inspectorate (DWI). Engineering and hydrological consultancies and research bodies offer services to assist other organisations in planning and managing water resources. In the broader field, water resource engineers advise on sustainable use of resources by conserving water, building dams and conveying water to users. Their planning ensures holistic, integrated management of water which balances the needs of nature with those of users. More detailed information on roles within the water resources sector can be found within our water supply, wastewater and flood risk management career profiles. What is enjoyable about the role? The work you do as a water resources engineer is vital, making a real difference to people’s lives and to the environment, whether you are working in the UK or further afield. Your work impacts on hundreds of thousands of people, sourcing water and supplying it to homes, farmland and other businesses. This can be extremely rewarding, especially in developing countries where reliable sources of water may be scarce. Within the sector you will meet and work with a variety of people, including clients, contractors and consultants, all of whom work closely in the planning, delivery and management of water resource projects. You will also work with other key stakeholders such as government, local authorities, landowners, regulatory bodies and members of the public. You will work as part of a multi-disciplinary team and in partnership with other engineers and specialists to deliver projects. The water resources industry is filled with opportunities to work across the globe due to its universal reach. Major world issues such as climate change and urbanisation are presenting greater challenges than ever – from providing irrigation water to farmers in the developing world to building resilience into water and wastewater networks, in some of the most advanced water systems ever constructed. What has changed in the sector in recent years? In an ever-advancing world, not only do methods of working change but so do regulations. Water management in particular has benefited greatly from the introduction and continuous updating of the Flood Estimation Handbook (FEH). This replaced the Flood Studies Report of 1975 as a methodology for estimating rainfall and river flood frequency. The EU Water Framework Directive (WFD) seeks to integrate assessment of water quantity and quality together with the ecological health of water bodies. This has led to increased use of the concept of water security, which seeks to integrate water availability under the extremes of floods and drought with ecological status. The work of the water resources engineer is therefore much broader than it has been before now. With the world’s population continuing to grow and become more urbanised, and the impacts of climate change becoming ever more apparent leading to more variability in rainfall, higher evaporation and greater risks from flooding and sea-level rise, the pressure on our water resources has never been greater. Several countries around the world, both developed and developing, are suffering drought conditions, and those tasked with sourcing and supplying our water are having to think more innovatively and strategically. As more barriers and shortfalls occur across the world, populations will search new sources, such as rainwater harvesting, desalination of the sea and reclamation of wastewater. As an industry we are moving from 2D drafting towards a fully comprehensive level 3 Buildings Information Modelling (BIM) strategy. The work of the BIM Task Group is supporting the delivery and implementation of BIM according to the objectives of the Government Construction Strategy. Experienced water resource engineers may go into consultancy work or progress to senior roles within water companies, regulatory bodies and other organisations. 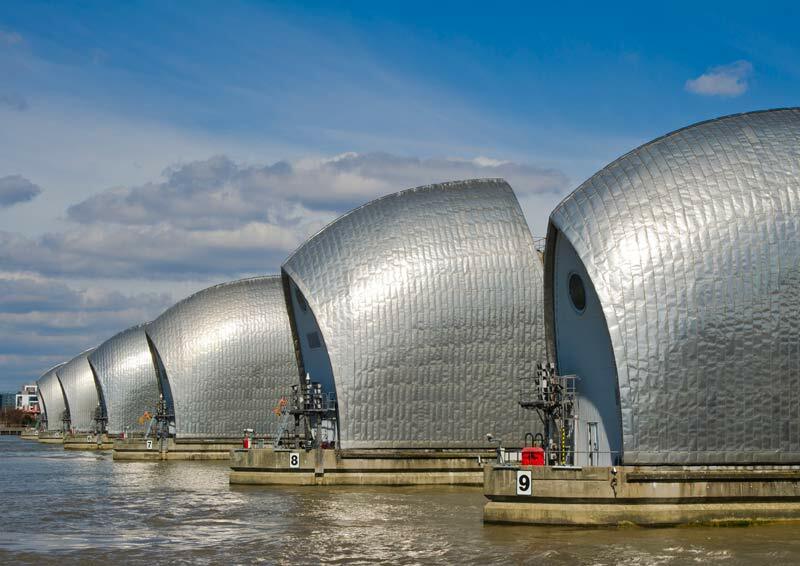 While the engineering aspects of major water infrastructure projects may grab the headlines, they must be underpinned by well-argued and presented long-term strategic plans that are robust to public scrutiny and possible challenge. Recent extreme events (such as the deepening drought over the 2011-2012 winter, followed by unprecedented rainfall from mid-April onwards) means that it is no longer appropriate to rely on historic hydrological records for long-term planning. An increasing focus is being placed on research into how to deal with uncertainty and risk in water resource management plans and drought plans so that appropriate information feeds into the development of national and international policies and investment decisions. Such research is undertaken by the water industry itself, together with academic organisations and consultancies. The global political agenda is placing an ever-increasing onus on tackling climate change, and with the United Nations (UN) COP21 event taking place later this year in Paris the implications for water resource engineers will be significant. Achieving the UN aim of keeping global warming below 2°C will require large-scale international collaboration – and building climate resilience into our water infrastructure will require similar collaboration, research and investigation, and innovation within the industry. In the UK, recent statutory plans combined with long-term horizon scanning suggest that major new water resource infrastructure will be required to provide the resilience now being sought by politicians and the public alike. Water resource engineers will play fundamental roles in developing the plans for new infrastructure and taking them through the planning and approval stages, to procurement, construction, commissioning and operation. How do I become a civil engineer in the water resources sector? A Bachelor's degree in Engineering is required, such as Civil Engineering or Civil Engineering Technology. Graduates can then join engineering firms to develop specialist skills and understand the sector. Further study can also be pursued e.g. an MSc in water resources management. How do I return to civil engineering in this area? Many companies offer specific training and initiatives for their employees who are returning to work after a period of absence. Engineers will also commonly choose to go back to university to do a one-year MSc course if they want to transfer to another area of civil engineering. I don’t have a degree in civil engineering. What next? If you don’t have a civil engineering degree, or would prefer to take a vocational route into the profession, there is the option to become a civil engineering technician. Civil engineering technicians are at the cutting edge of designing, constructing and maintaining everything from airports to sewage systems. Technicians can assist designers in the production of technical work with all activities relating to the inspection, study, design, maintenance and construction of highways. Entering the sector as a technician is a fantastic opportunity to work alongside an experienced and dedicated highways team and a great opportunity to progress your career. ICE even offers a recognised engineering technician qualification. Many ICE members have followed this path. Today, many are now chartered engineers with ICE. How can I learn more about the discipline of water resource management? To help you discover more about about the role that civil engineers play in this discipline, we've collated a series of resources including recorded lectures and case studies. www.eci.ox.ac.uk/teaching/index.php - the ECI's flagship MSc programme aims to train international leaders in all aspects of environmental change and management. www.hydrology.org.uk - The British Hydrological Society promotes all aspects of hydrology - including the scientific study and practical implications of the movement, distribution and quality of fresh water in the environment.